Transformational and Inspirational Coaching opportunity for everyone who is ready to turn their life into opportunity to grow. The change always starts with us, I am offering individual and group sessions by offering the tools to achieve you goals and completely alter your life and career. My experience in life taught me that there is no obstacle which cannot be overcome and anything is achievable. People often doubt themselves and easily give up on their dreams because of it, but it is not the right thing to do when there is help available. After years of being lost and not being able to live up to my full potential, I realized the person who must take charge in this life is me. All I need is inside, but it helps to have someone who can give some direction and support and knows how it feels to be stuck and misunderstood. My journey started with my first transformational book “The Journey of Transformation” in which I mapped all of the necessary steps taken by me. This book will help you align with your true personality values along with my navigation to easily receive answers to your most pressing questions when it comes to effectively communicate in all kinds of situations. My job will be to illuminate a fresh prospective on finding your strength and purpose without directly giving any advice or solving your problems. You role be to be ready to do the job by engaging in the process and take the lead. Schedule your complimentary session with me, lets partner and see how easy it is to achieve your goal and find solution to the most pressing questions. Life is too short to wait and the time is always now. 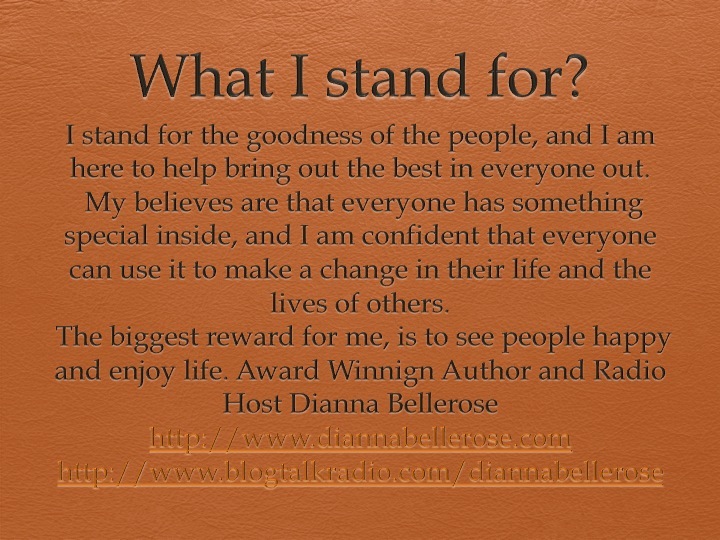 This entry was posted in business, coaching, healthylife, lessons from life, life, womenenterpre and tagged #inspirationa, businesscoaching, empowering, free, freesession, lifecoaching, women for a change on October 8, 2015 by diannabellerose.